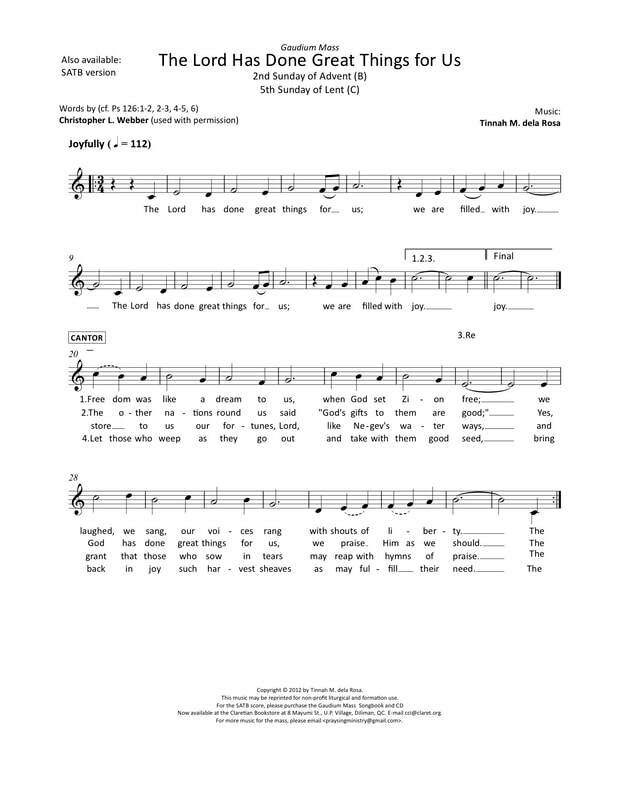 The English psalm setting is by Tinnah M. dela Rosa, Jeffry Ray C. Miguel, and Ken Steven while the Filipino setting is by Dennis N. Marasigan. 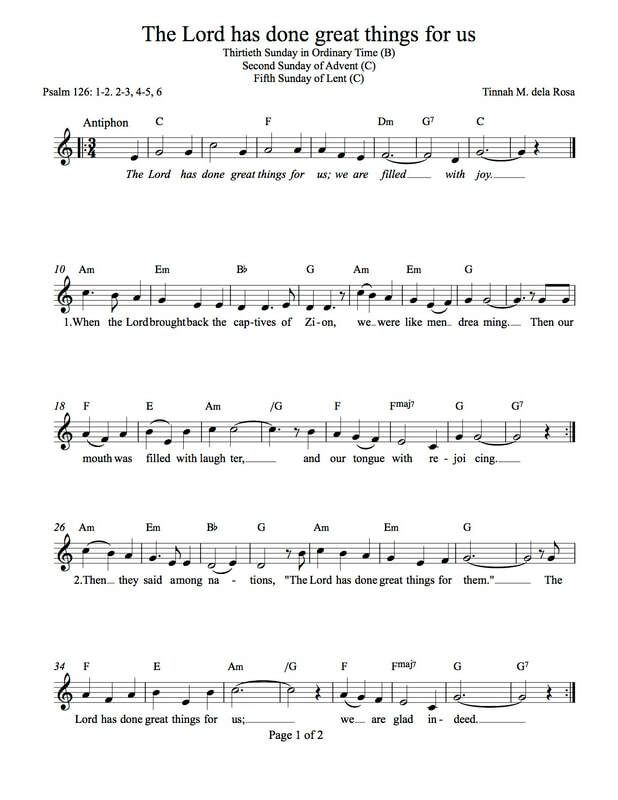 To download the music sheet with a higher resolution, please click here. Click to view the readings for next Sunday (April 14, 2019) in English via the US Conference for Catholic Bishops website or in Filipino via the Word and Life Publications website. 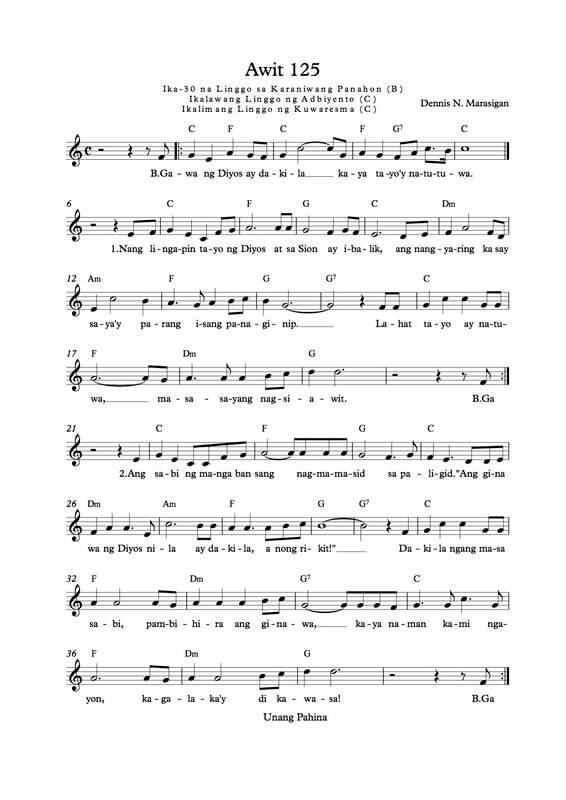 The English psalm settings are by Alejandro D. Consolacion and Tinnah M. dela Rosa while the Filipino Psalm is by Dennis N. Marasigan. 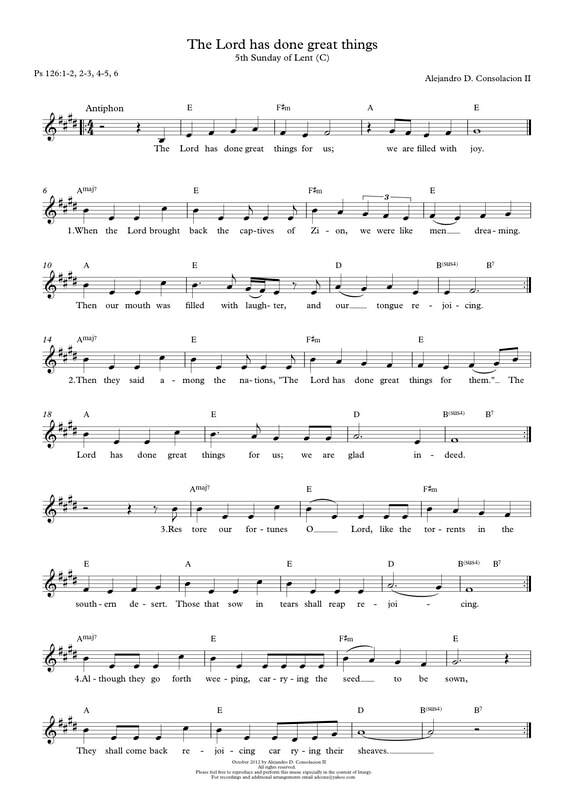 To download the music sheet with a higher resolution, please click here. Click to view the readings for next Sunday (April 7, 2019) in English via the US Conference for Catholic Bishops website or in Filipino via the Word and Life Publication.